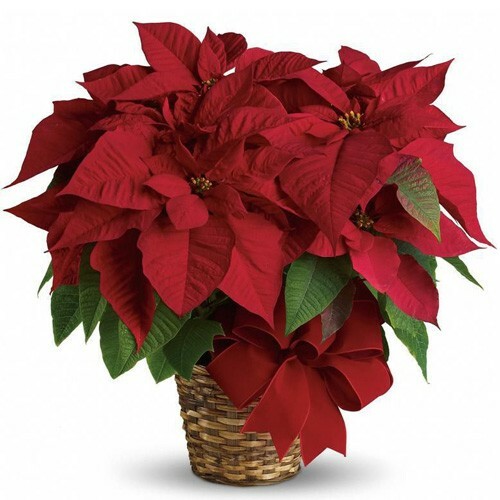 The traditional red poinsettia is almost synonymous with Christmas itself. With its bold red blooms and deep green foliage, this poinsettia is a holiday treasure. A colorful fresh plant that will brighten up any area for the holidays.